Welcome to beautiful Lancaster County on Virginia's Northern Neck. 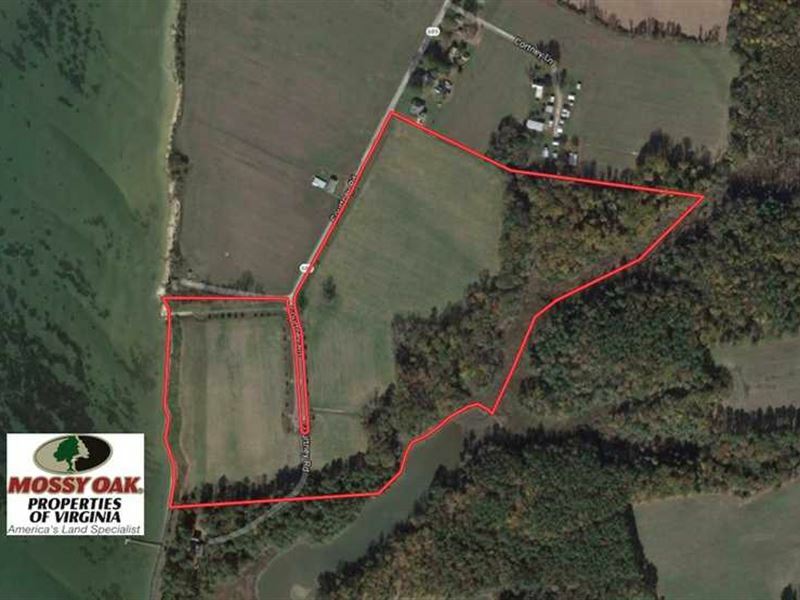 46acres located on the banks of the Rappahannock River. Enjoy the expansive views into the wide open with approximately 3 miles of water in front of you. This gorgeous tract is comprised of 4 riverfront, and 6 interior lots which include tidal front creeks. This unique opportunity is being sold wholly, although a complete 10 lot subdivision has already been established. Launch your boat from your very own 1+ acre boat ramp and enjoy endless fishing and water-sport activities. The parcels are perc positive and ready for development. The private tree lined gravel road leads to a cul de sac and all lots have entrance access areas and proper ground water drainage systems in place. Underground electrical has been installed to each lot. Rip rap bulkhead protects the 900' of the waterfront lots and the 400+' creek front lots are protected by a natural bluff. The interior lots are comprised of cultivated crop land and wood lands. The woodlands offer fantastic views, with the tall, mature timber and rolling hills. The knoll that they sit upon, leads down to 1500+' of unspoiled marsh and out to Bulls Creek. Bulls Creek is landlocked and perfect for kayaking or canoeing. For more information on this and other Development and Investment Land for Sale in Lancaster County VA, contact at , by email at Email listed above, or visit our website at Web Link listed above.